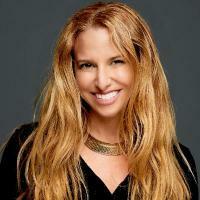 Joanna Popper is a Hollywood and Silicon Valley media executive. She recently became HP’s Global Head of Virtual Reality for Location Based Entertainment. Prior she was EVP of Media & Marketing at Singularity University and VP Marketing at NBCUniversal. Joanna developed a TV show partnership with NBC and Singularity University for “The Awesome Show,” a new TV series on technology and innovation.